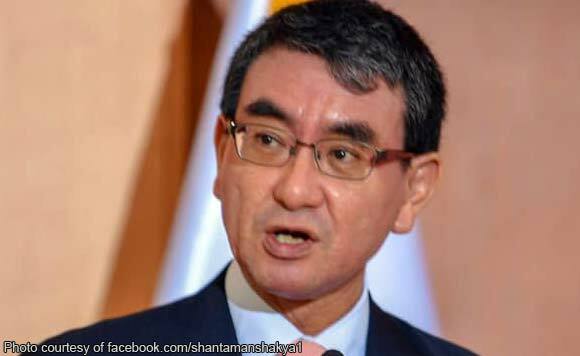 Japanese Foreign Minister Taro Kono is slated to visit the Philippines on Saturday, the Department of Foreign Affairs (DFA) has announced. The foreign minister was invited by Foreign Affairs Secretary Teodoro Locsin Jr. for an official visit to the country from February 9 to 11. According to DFA spokesperson Elmer Cato, Kono will meet with Locsin in Davao on Sunday for a bilateral discussion on areas of mutual interest, including political, economic, and people-to-people engagement. Cato said the two officials will also tackle Japan’s support for infrastructure development and for Mindanao in the wake of the ratification of the Bangsamoro Organic Law. While in Davao, Kono is scheduled to call on President Rodrigo Duterte and meet with other Cabinet officials. He will also grace the inauguration ceremony of the Japanese Consulate General in Davao. in place during the transition period towards the Bangsamoro government creation in 2022.